Are you ready for recipes to make some mason jar make-ahead meals? 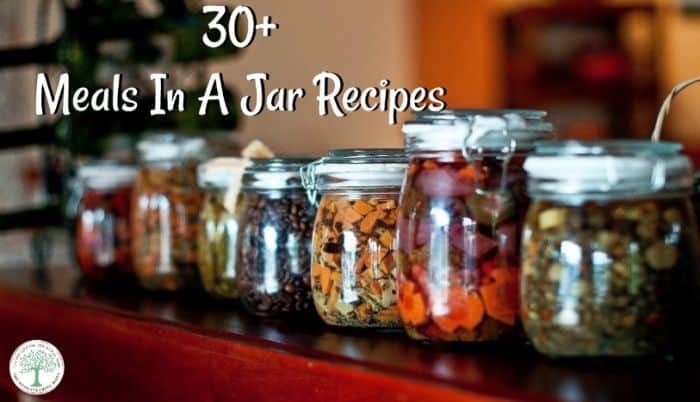 Get over 30 recipes to get you started on stocking your pantry or for great gifts! Getting your food storage pantry stocked with delicious, easy to prepare foods will make busy nights much easier. Just heat and eat is the key here. With all the easy to prepare foods you can make, it’s a great way to add healthy, quick prepared foods to your pantry. 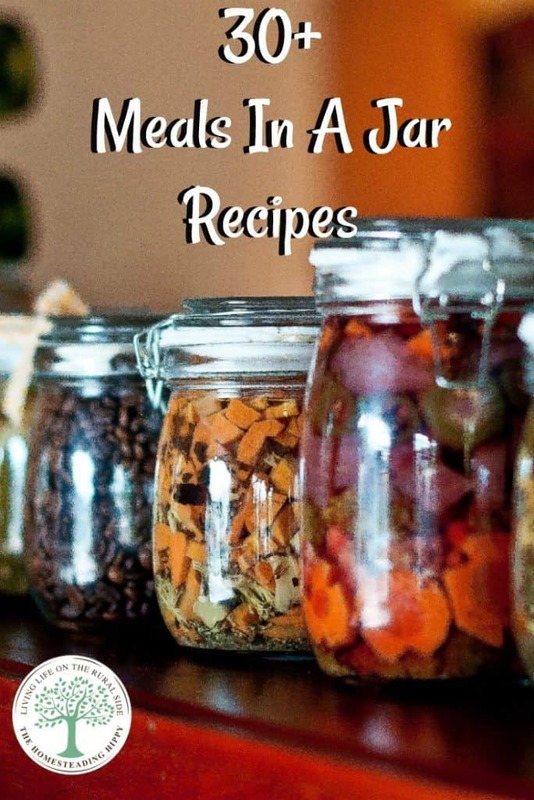 Meals, drinks, and desserts in jars are also a great way to get prepared for camping, hiking, or other outings without spending a lot of money. This is a great way to take dry foods bought in bulk and create something delicious for later use. What you are doing essentially, is creating your own groceries! Skip the boxed Hamburger Helper, or bagged cookie mix and go for something more healthy where YOU control the ingredients! How about gifts in a jar ideas for a neighbor, teacher, or friend? Healthy cookie mixes or drink mixes are always welcomed! How about for that new mom or bride? Send along a meal in a jar with a new kitchen towel and wooden spoon for a perfect present! Try a few mason jar make ahead meals and be sure to pin this for later. Want more – follow our board for more meals in a jar ideas! I can’t seem to get the “ canning milk” page to open, not sure if the link is broken or what is wrong. Always takes me to the home page again. Thanks for your help.